For the release of the merchandise around the new Star Wars film – The Force Awakens, Propability were asked by Disney to work under a veil of secrecy to provide sculpts, props and specialist fixtures and features for two flagship stores. Working from the movie trailer, we set about sketching up Star Wars themed archway designs and fixtures for the Oxford Street store, as well as creating three brand new sculpts. Creating a replica of the latest TIE Fighter, our team created this impressive sculpt within 10 days. 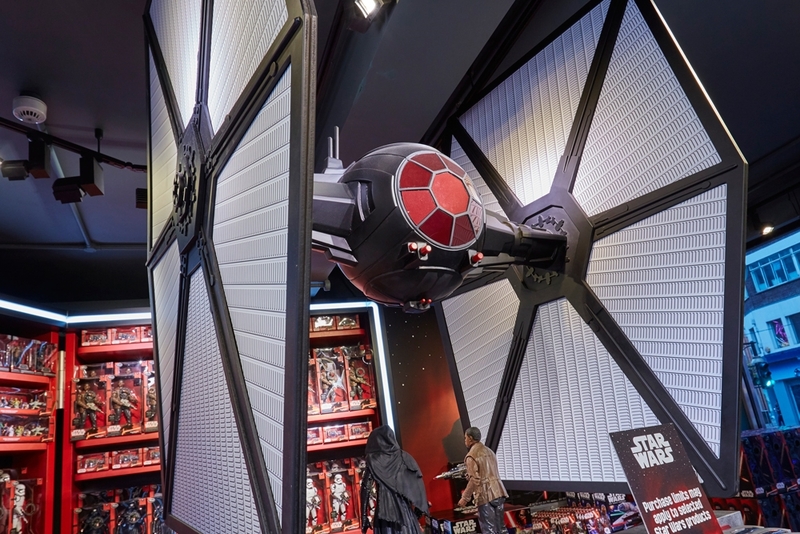 Measuring 1400mm from top of wing to bottom, it was hung above a fixture in store that was initially created for Spider-Man and refurbished to create a Star Wars 'look'. To match the refurbished fixture a second fixture was designed and installed with adjustable shelves to fit the Disney Store shop fittings. The paint work on the new BB-8 Droid alone took over 5 days – we were incredibly pleased with the results. 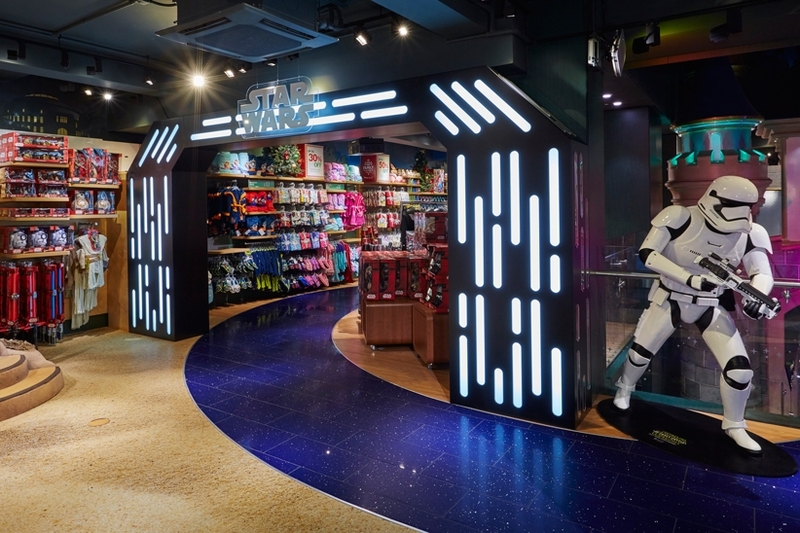 As a backdrop two illuminated archways were created – one surrounds an existing wall bay unit and the other creates an immersive walkway for shoppers to help create a Star Wars environment / experience.